This seminar provides a personal overview of MEMS at UC Berkeley as it has evolved from beginnings in integrated-circuit research. 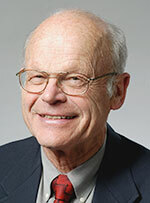 The author began teaching and research in Electrical Engineering at Berkeley in 1962. After initial research emphasis on integrated circuits, he shifted his research focus to nonelectrical micro-devices (in the late 1970s). The central goal was to build chip-scale engineering systems—which soon became known as MEMS (Micro-Electro-Mechanical Systems). In the early 1980s fewer than a half-dozen research labs (mainly in universities) had begun programs in MEMS. Those in the field generally co-operated with remarkable openness and their exchange of ideas was an important spur to finding fruitful directions for MEMS. An important early advance carried out at Berkeley in the early 1980s was to build mechanical elements compatibly with ICs on a single chip, demonstrated in the doctoral research of Roger T. Howe. This success, using polycrystalline silicon as a structural material, became known as surface micromachining and it played a major role in the founding of the Berkeley Sensor & Actuator Center (BSAC) in 1986. BSAC unites industrial partners and a consortium of professors to focus widely on MEMS, building on a framework of student researchers who work side-by-side in their development of materials and processes. In its almost 30-year history, BSAC has been guided by this philosophy as the center has been the research home for hundreds of students. Research at BSAC is now led by 13 faculty Directors who are associated with five different academic departments. In 1962, after earning a PhD in EE at Caltech and carrying out design work at Hughes Aircraft Co, Richard Muller joined the faculty in EE at Berkeley for research and teaching focused on the then new field of integrated circuits (ICs). After developing several solid-state electronics and IC courses, he collaborated with his earliest PhD student, Dr. T.I. Kamins, then at HP Labs, in writing “Device Electronics for Integrated Circuits,” (Wiley, 1977, 2nd edition 1986, 3rd edition 2003 (with Mansun Chan)). He is the co-founder (with Prof. R.M. White) of the Berkeley Sensor & Actuator Center (1986).